Apollo 11 Flown Largest Size American Flag Directly From The Armstrong Family Collection™, Certified and Encapsulated by Collectibles Authentication Guaranty. A 17.75" x 11.5" silk U.S. flag with red stitching around the edges. This incredibly rare and desirable flag, the largest size typically flown by Apollo missions, traveled to the moon with Apollo 11, the first manned lunar landing, July 16-24, 1969, and was kept as a treasured souvenir by Mission Commander Neil Armstrong. We believe this to be the first flag of its size to ever be offered for public sale. 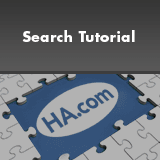 It would be equally at home in an institution or an advanced private collection. Flattened folds from storage, bright and fresh as new, sealed in a numbered archival sleeve. This lot will include a Statement of Provenance signed by Neil Armstrong's sons, Rick and Mark. 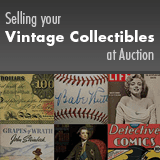 Learn more about Collectibles Authentication Guaranty (CAG). 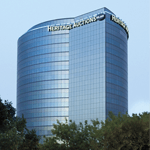 Consign to the 2020 February 22 - 23 Americana & Political Signature Auction - Dallas.